The American Academy of Pediatrics (AAP) issued new tackling guidelines last week to improve the safety of all youth football players on the field. The recommendations were compiled after an AAP committee reviewed 114 research studies. Officials must enforce the rules of proper tackling. Non-tackling leagues, such as flag football, should be expanded. Players must strengthen their neck muscles before they play. Athletic trainers should be present on the sidelines at all times during games and practices. Last week, I spoke with 1590 WAKR morning show host Ray Horner about these recommendations. 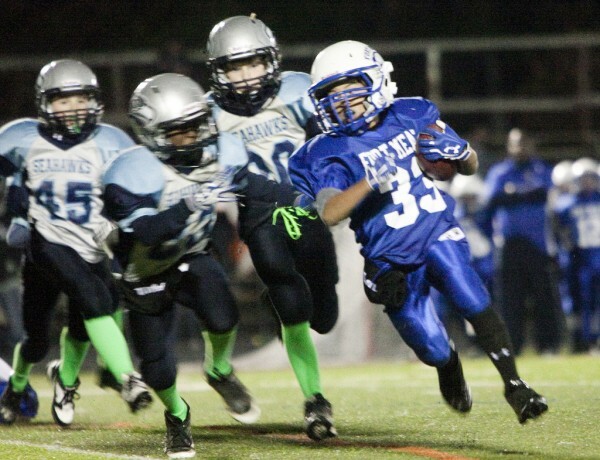 Though youth football numbers have dropped in recent years, football remains one of the most popular sports for young males. In this country, there are 1.1 million kids that play high school football and half a million in youth leagues from 5 to 15 years of age. 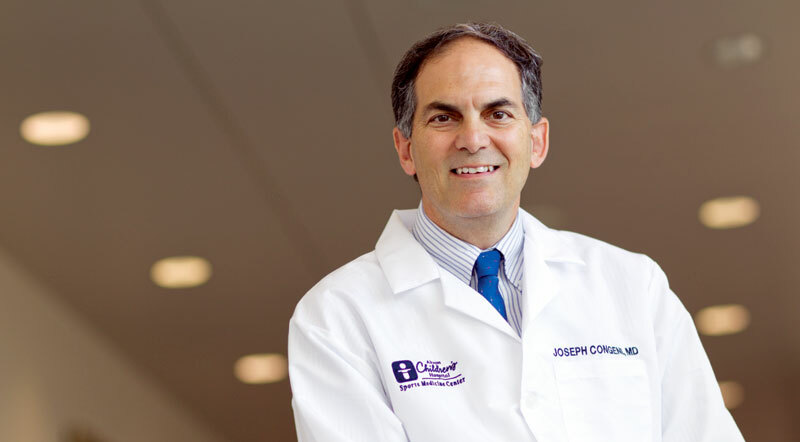 HORNER: Time to bring in our very good friend, Dr. Joe Congeni, Sports Medicine Center at Akron Children’s Hospital. Joe, good morning, and you’ve got some new study results pertaining to the youth and tackling and all that such. DR. CONGENI: Yeah, Ray, you know … we used to talk about it in the day. I served on the committee, the American Academy of Pediatrics, and I rotated off a few years ago, but, um, they deal with an issue like this and try to look at all the studies in the literature. They looked at 114 studies and November of 2015, so pretty timely, we’re actually a week ahead of time here, they came out with their guidelines for tackling in the sport of football. And uh, football is still one of the most popular sports for young males, even though you and I have talked, Ray, about the fact that the numbers have dropped a little bit. One point one million kids in this country play high school football. Half a million or more play in youth leagues from 5 to 15 years of age. So, there are a lot of kids still playing football, and tackling is the event in football that leads to some of the things that are most concerning: the head and neck injuries. And so, they came out with, a uh, 10-page [report], uh, reviewing 114 studies, and some guidelines and I wanna just highlight 4 of some of their summary statements. 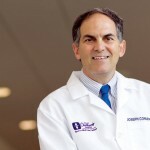 DR. CONGENI: No. 1 is we need to ensure good rules enforcement and a cultural change. There still are too many kids who play this game who are leading with the head when they’re tackling. And, that’s really where the danger begins when you’re either tackling or being tackled and so we need a culture change and that starts with making sure the officials are enforcing the rules we have. That was one summary statement. No. 2 is perhaps in the next decade an expansion of non-tackling leagues. Another words, I believe what they’re talking about there is flag or other, uh, types of football where kids [who] wanna play the sport, but don’t want the tackling and head and neck part of it. That needs to be expanded in our country. There are 2 parts to that, though, Ray. No. 1 is if you delay the age of tackling, you’re gonna delay some of those injuries during that age range. But, there were a couple studies they cited that showed people that delay that until high school and then play in high school are not quite ready for those collisions when they are exposed to ’em if they haven’t played before. And so, there’s some danger in the first time you’re tackling being in high school where the speed of the game is [faster paced]. So, they didn’t answer that question. They just threw it out there. There should be more options for kids in non-tackling. Um, the other thing they mentioned very strongly is tackling technique needs to be taught at the youngest age whenever kids learn this game, that heads up tackling technique they talk about. That was all part of the, you know, 2nd part of the summary. DR. CONGENI: The 3rd part is strengthening of the neck muscles before you play. We need to ensure that kids are willing to put in time to get stronger before they get on a football field. And, No. 4, really one of their final summary statements, is that athletic trainers should be present on the sidelines during all organized football games and practices ’cause they’re the best people to spot these injuries when they do occur. So, they had a lot of summaries, 10 pages, and I tried to summarize it and boil it down. Those are the 4 things I took away from it, Ray, about tackling and youth football. HORNER: Yeah, and I love the way I’ve seen a real changing of the guard, you probably even more so than me, Joe. The way the coaching is now on the youth football level, it is safety first compared to what maybe it was 30 years ago when there were a lot of people that were trying to go for the big, uh, hits and that type of thing. Now, I’m noticing going to a lot of these practices is, we had some baseball practice beside some youth football training in Wadsworth there in the last month or so, I’m watching really the due diligence of the coaches really working on the head placement, sliding it to the side in form tackling and such. DR. CONGENI: I hope so, Ray, and I’m glad to hear you say that ’cause you’re a pretty informed guy and keep an eye on those kinds of things. I think so too, but I’ll tell you it’s been hard. … You know, I’m an old guy, we’ve been battling this a long time and this cultural change in football has taken a long time, too. Don’t you think? I mean, it’s been painstakingly long. DR. CONGENI: I’ve been on this bandwagon for a long time. Just be aware of particularly the head and neck injuries. It’s just something we can’t let slide. We have to be aware of it. I think there is more awareness, but it’s been painstakingly slow. HORNER: Yeah and the other thing too is the youngsters that are participating in the sport think you brought it up. You’ve gotta train yourself and really jump into it. I remember, and you probably did this when you played, Joe … doing the neck strengthening exercises in the weight room and such and we would look at that as a blow-off. “Why do I have to do this 3 times a day?” type of thing. But, it is really important. All those aspects really add up. DR. CONGENI: Really, really important. Of all the things if a kid’s gonna play football, you’ve got to have that. Even at a younger age. You don’t see the big muscles on the junior high-age kids because there isn’t all that circulating hormone until they reach puberty, but remember that training those muscles before you step on a field are very important. And, those were really 2 of the highlights I think from this position statement. HORNER: Great stuff, Joe. Good talking with you again. We’ll catch up with you next week. DR. CONGENI: Thanks, Ray. Enjoy the week.